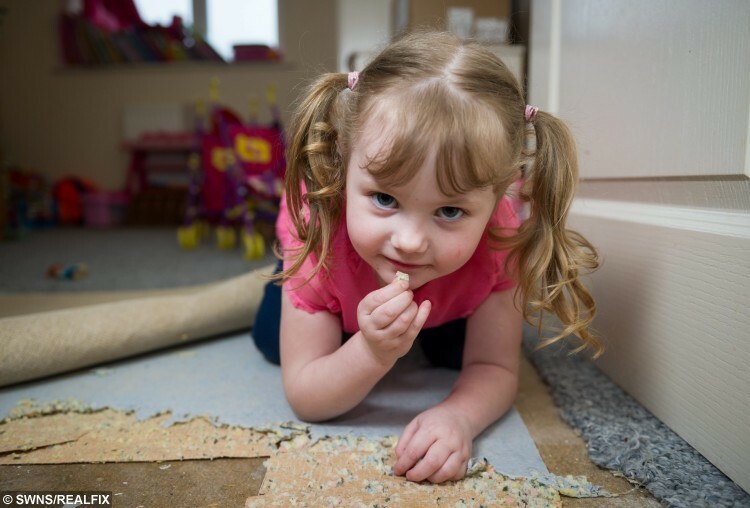 A four-year-old girl is literally eating her parents out of house and home due to a rare medical condition that makes her eat carpet underlay and sponge padding from chairs. Little Jessica Knight suffers from Pica which causes the sufferer to develop an appetite for non-food substances. Her mother Kelly first discovered something was wrong with Jessica when she started eating a faux leather child’s chair bought for her when she was two. Jessica also began eating cement chips from pavements and sand from play areas as well as the filling from her little sister’s rocking horse. Worried Kelly, 36, warned Jessica that what she was doing could make her ill – but as a result the youngster became more secretive about her habit. She then noticed the carpet in her daughter’s bedroom was loose – and found Jessica had eaten half of the sponge underlay. Jessica had also eaten the filling from her three year-old sister Jennifer’s rocking horse and the foam padding from an armchair which she had attacked from underneath. Kelly, who lives with her two girls and their engineer father Chris Knight, 40, said she has no idea what to do because she claims doctors refuse to help until Jessica is six. Kelly, of March, Cambs., said: “I was really shocked when I realised just how much she was eating. If you lift up the carpet in her room now you can see there is no underlay left. “To stop her I would have to remove everything from my house, including all chairs and sofas. “Doctors always said it wasn’t a problem and it’s taken two years for them to finally listen to me. 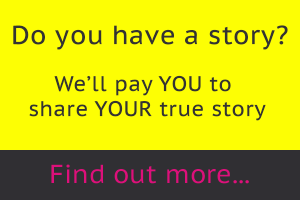 “The GP sent Jessica to a paediatrician and we’ve been referred to two others since but she hasn’t had any help. Desperate Kelly now allows Jessica to keep a small purse filled with sponge from her carpet which she eats at certain times so help them control her intake. People suffering from Pica frequently crave and eat substances with no nutrition, such as dirt, paint, ice, sand, glue and chalk. Picky Jessica refuses to eat foods with any sauces and Kelly is limited to giving her plain sausages, cheese strings, rice pudding, bread, Weetabix and fish fingers without bread crumbs. But because Jessica eats so much dairy she is constantly lacking in iron because it forms a barrier to the mineral in the body. 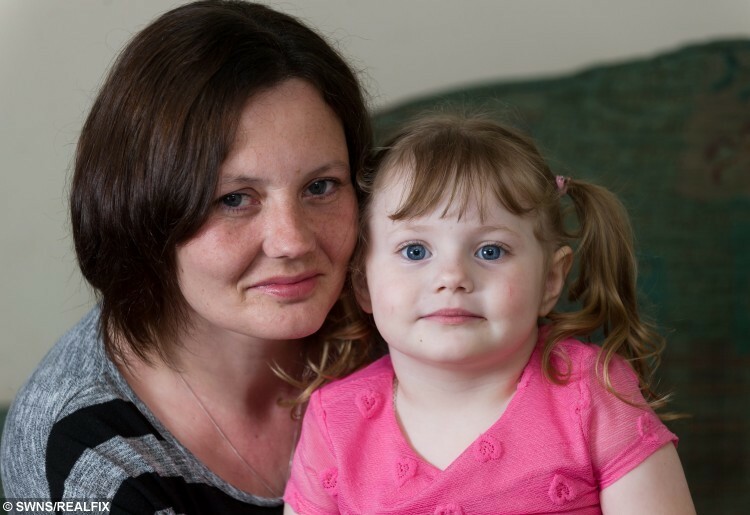 Jessica has just had blood tests at Doddington Hospital, in March, Cambs., which show she has an iron deficiency. The youngster gets stomach cramping and constipation from her habit – and has once been left unable to stand and screaming in pain. Staff at Jessica’s preschool told her parents she was licking her hands and placing them onto sand so it would stick and she could eat it from her fingers without others seeing. Kelly said: “We would rather she ate the carpet because it’s non toxic. If we try and stop her we fear she will eat something worse with chemicals in it. “Doctors said she likes it because she likes the texture. But it’s always confused me because sponge, stones and sand all have completely different textures. “If I ask her ‘did you play in the sand pit today?’ when she comes home from preschool she says ‘yes but nobody saw me mummy’. 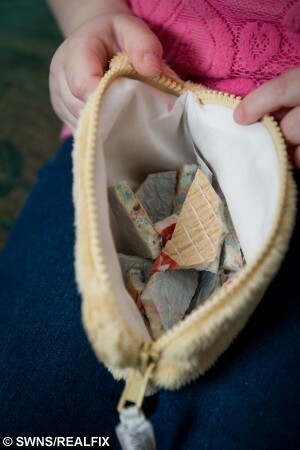 “She hides cement stones and sand in her pocket and eats it discreetly because she knows it’s not normal. “She shuts her sister out of their shared bedroom sometimes and we said to her she can’t because it’s both their bedrooms. “We were visiting her cousins on Christmas and half an hour before we arrived she began crying in the car. Kelly will find out in April if Jessica is also autistic – a condition related to pica – after doctors noticed she had an extremely high IQ. The Challenging Behaviour Foundation, a charity for people with severe learning disabilities and difficult behaviour, said: “It is estimated that four to 26 per cent of people with learning disabilities display pica behaviour. “Whilst some objects pass through the body without harm, pica can potentially be life threatening. “Risks include vomiting, blockages, choking and poisoning. Pica can be associated with mineral deficiencies but is more often a learned behaviour, for example for social attention, getting a favourite activity, sensory feedback, or escaping a situation. “The Challenging Behaviour Foundation believes that children need the right support early in childhood. “Early intervention using methods such as Positive Behaviour Support can reduce the severity and frequency of challenging behaviour, such as pica. Kelly is now urging for more UK research to be done on the condition. Dr Alison Sansome, Clinical Director for Children’s Services at Cambridgeshire Community Services NHS Trust, said: “It would not be appropriate to comment on individual cases other than to confirm that this Trust has not provided the guidance this family has been given on waiting lists and ages from which treatments can commence. “In general terms PICA is a complex condition and treatment will be dictated by the specific circumstances in each case. “Some treatments cannot start until children have reached certain cognitive development stages. “Our priority in all cases is to ensure every child receives the best care possible.